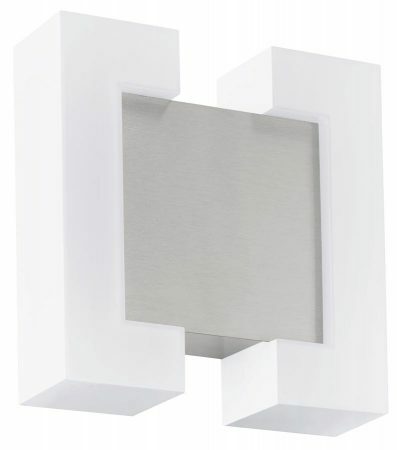 The Sitia contemporary matt nickel finish LED outdoor wall light rated IP44 is unusual, simple, efficient and beautiful, particularly when lit. A compact external LED wall light, with a square matt nickel wall mount and two square section opal polycarbonate shades. The mount remains unlit but the shades are filled with light creating a light sculpture that is bright, practical and pleasing. With a replaceable neutral white 4.8w LED module on each side, this wall light provides 1100 lumens of light. 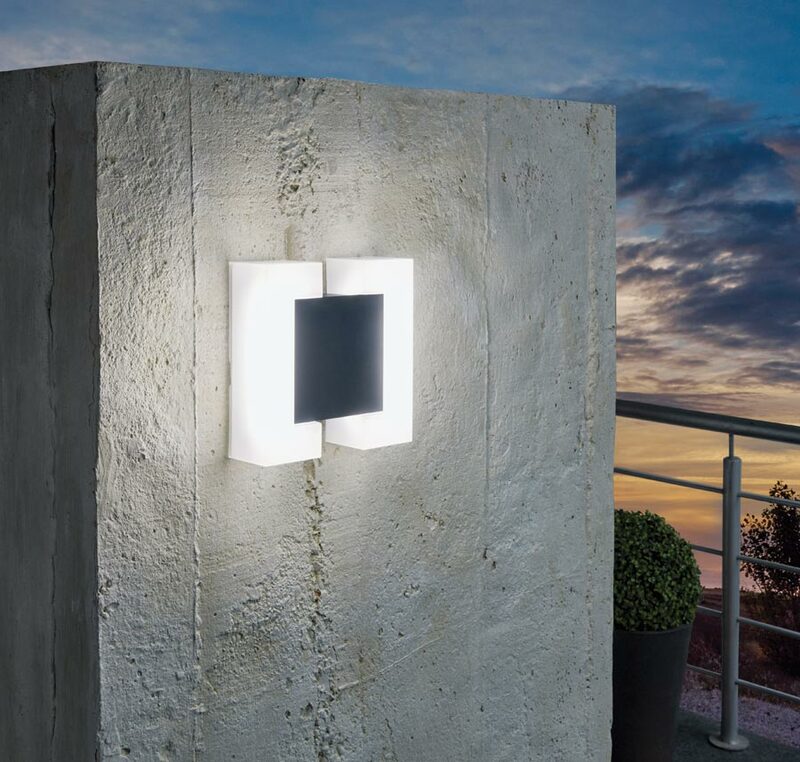 Constructed from matt nickel finished galvanised steel, impact resistant polycarbonate and fitted with replaceable LED modules, this contemporary exterior wall light will provide many years service. Also available finished in anthracite, please see below.